Flagship phones give manufacturers the opportunity to showcase their latest technology, and because they attract attention and generate buzz, they help raise brand awareness. 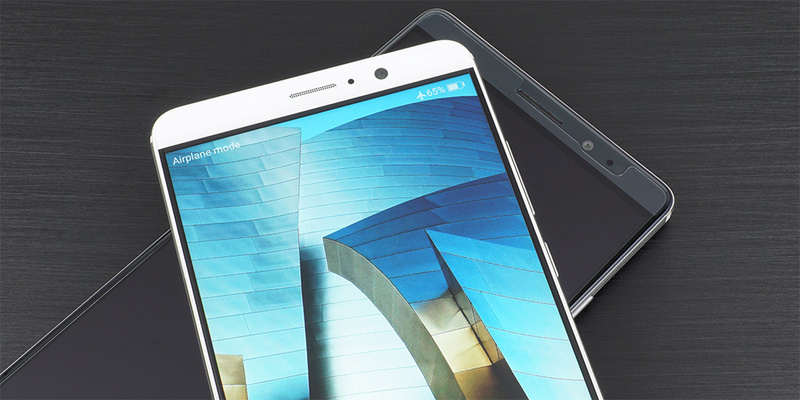 For Huawei, currently the world’s third largest smartphone producer by market share, its Mate series of phones is the pinnacle of what the company has to offer. 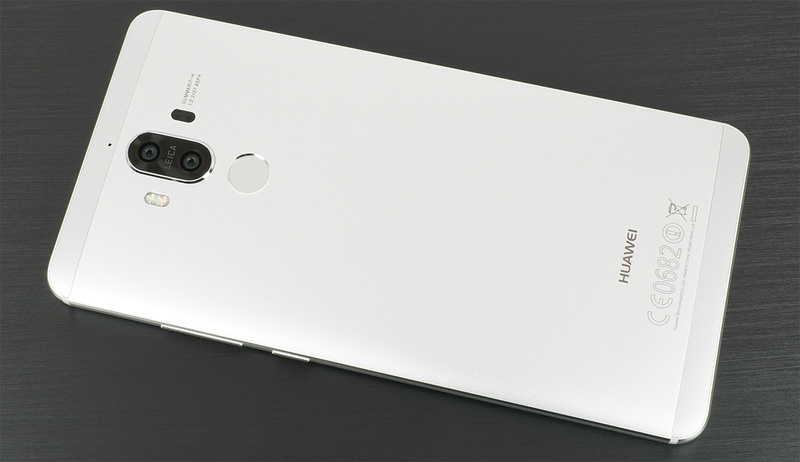 And while the Mate 9, the successor to the Mate 8 that we looked at in-depth last year, packs some high-end hardware, Huawei recognizes it takes more than an impressive spec sheet to win the premium smartphone battle; it needs to provide an overall experience and image that matches the phone’s premium price. Performance and responsiveness are important for any phone, but essential for a flagship like the Mate 9. Making its debut inside the Mate 9’s aluminum chassis is HiSilicon’s new Kirin 960 SoC. 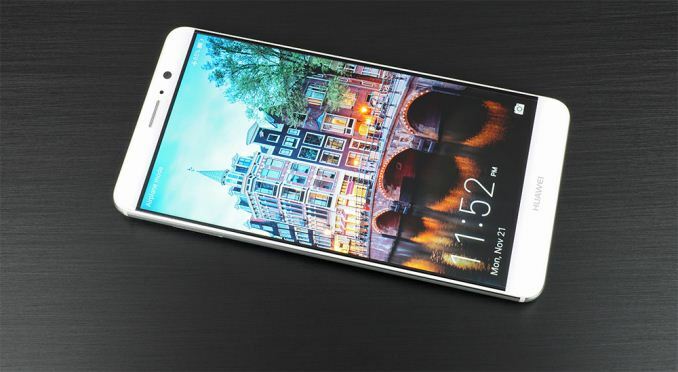 The four ARM Cortex-A72 CPUs in the Mate 8’s Kirin 950 have been replaced by four of ARM’s latest Cortex-A73 CPUs. The plus-one change in model number is deceptive, however, because there are some significant differences between the two cores. The A73 actually belongs to a different processor family, with its roots going back to the A17 rather than branching out from the A15/A57/A72 family tree. One of the obvious differences between the two different microarchitectures is a reduction in decoder width: The A72 has a 3-wide decoder while the A73 is 2-wide. Despite what appears to be a reduction in capability on paper, ARM claims the A73 still offers better performance and efficiency relative to A72 on the same process and frequency. Four Cortex-A53 cores complete the big.LITTLE CPU configuration. The Mate 9’s CPU cores reach higher peak frequencies than those in the Mate 8 too, but the differences are small. The A53 cores get a negligible increase from 1.80GHz to 1.84GHz, while the A73 cores reach up to 2.36GHz versus the 2.3GHz for the Kirin 950’s A72 cores. It’s interesting that Kirin 960’s A73 cores are clocked lower than the Kirin 955’s 2.5GHz A72 cores, especially considering that ARM targets a peak frequency of 2.8GHz on 16nm (the Kirin 960 uses TSMC’s 16FFC FinFET process). With the Kirin 960, HiSilicon is more focused on reducing power consumption (and freeing up thermal headroom for the GPU) instead of chasing maximum CPU performance. Still, based on the A73’s other advantages, particularly the improvements to the memory subsystem, the Kirin 960 should still show a small performance gain relative to Kirin 950/955. Perhaps the biggest criticism of past Kirin SoCs were their seemingly underpowered GPUs. While Qualcomm pushed the performance and power envelope with its Adreno GPUs, and Samsung added eight- or twelve-core configurations of ARM’s latest Mali GPUs to its Exynos SoCs, HiSilicon’s Kirin SoCs made due with more modest four-core Mali configurations. Peak performance significantly trailed its peers, but Kirin’s lower power consumption limited the effects of thermal throttling (a significant problem for the faster GPUs). Ultimately, performance was “good enough” for the majority of cases. The Mate 9’s Kirin 960 SoC marks a radical shift in HiSilicon’s GPU philosophy. Not only does it utilize ARM’s latest Mali-G71 GPU based on the all-new Bifrost architecture, but it steps up to an eight-core configuration running at an impressive 900MHz—the same peak frequency used by the Kirin 950/955’s much smaller GPU. The combination of additional cores and architectural improvements give the Mate 9 a significant peak performance advantage over the Mate 8’s Mali-T880MP4 GPU, paving the way for new capabilities such as VR. The Mate 9 pairs its SoC with 4GB of LPDDR4 RAM, which is now standard for flagship phones. Internal storage is limited to 64GB, unlike the Mate 8 that offered a choice between 32GB, 64GB, or 128GB of NAND. Both the Mate 9 Pro (128GB) and Mate 9 Porsche Design (256GB) come with additional storage, and all three Mate 9 versions have a slot for a microSD card to expand storage further. Software features and configuration are also vitally important to performance. The Mate 9, like previous Huawei phones, includes several enhancements to help apps launch faster and keep the system feeling more responsive. Huawei’s EMUI uses the F2FS filesystem and other optimizations to improve storage performance. There’s also Huawei’s “Machine Learning algorithm” that prioritizes system resources (CPU, memory, and storage) to improve responsiveness and overall performance. This feature, which runs locally on the phone, monitors app usage, taking note of which apps are used at what times, and then anticipates the user’s needs, by preloading the predicted app, for example. Android already manages memory usage, evicting background apps to free up resources for active processes, but Huawei takes this further by closing memory-intensive background apps to ensure memory is available for prioritized apps. It also uses compression to increase the amount of data held in working memory. Before we discuss the Mate 9’s other hardware and features, let’s briefly cover its connectivity options. It supports 802.11a/b/g/n/ac Wi-Fi (2.4GHz and 5GHz), but only a single spatial stream enabling up to a 433Mbps PHY rate on a 80MHz channel. Most flagship phones (HTC 10, LG G5, Motorola Moto Z / Moto Z Force Droid, Samsung Galaxy S7, and iPhone 7 to name just a few) offer dual spatial stream MU-MIMO, so the Mate 9 is a bit behind here. It does come with Bluetooth 4.2 LE, NFC, and even an IR blaster, though. The Kirin 960 includes a brand new HiSilicon LTE UE Category 12/13 modem that achieves speeds of up to 600 Mbps on the downlink and 150 Mbps on the uplink (2x20MHz carrier aggregation with 64-QAM). This new modem, which drops HiSilicon’s ‘Balong' branding, supports up to 8 data streams on the downlink using a combination of quad carrier aggregation (4x CA) and 4x4 MIMO (only for 2x CA). It also supports up to 256-QAM but not on all 8 streams. This gives it some flexibility in how it achieves its maximum throughput: (2x20MHz CA + 4x4 MIMO at 64-QAM) or (4x20MHz CA + 2x2 MIMO at 64-QAM). This modem gains another new capability: It now supports CDMA, which is important for carrier compatibility in China, and puts HiSilicon in the same group as Intel, MediaTek, and Qualcomm for global network support. This modem represents a significant investment by HiSilicon, because it uses a completely new, custom design that does not use CEVA LTE IP like previous Balong modems. There are two different models of the Mate 9. The MHA-L09 model uses a single NanoSIM and does not support CDMA networks. The MHA-L29 model supports Dual SIM Dual Standby (DSDS), although one NanoSIM slot is shared with microSD, so it can use either two NanoSIM cards or one NanoSIM and one microSD card. The second SIM supports 2G/3G operation using GSM (850/900/1800/1900MHz), CDMA (BC0), and WCDMA (1/2/4/5/6/8/19). Impressive performance. I'd love to see the Kirin 960 in a slightly smaller form factor, though, perhaps the next Honor. The biggest flaws of the Honor 8 were the GPU and EMUI 4.1. Most of the other faults were easily forgivable given the reasonable price. The Mate 9's pricing is very competitive given the specs, but I personally find it hard to justify buying anything over $300 anymore. I find it hard to spend such money on "a phone". My first Huawei phone was a 300 dollar Mate2, almost 3 years ago. Not the fastest, not the brightest screen, but that battery life and stability won me over. When the Mate8 came out last year, it had one of those silly high prices. When the Mate9 was about to be released, the price on the 8 dropped to around 400 dollars. A little more than what I originally wanted to pay, but a LOT less than what it was a short 6 months ago.